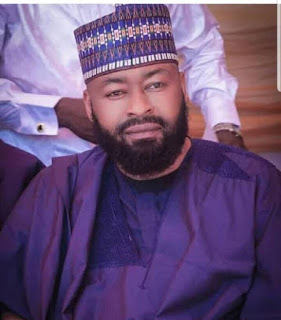 A member representing North Central Constituency of Niger State in the House of Representatives, Hon Umaru Mohammed BAGO has said it would be a great injustice if North central is denied the speakership slot of the lower chamber. The lawmaker, in a statement he issued and made available to journalists on Wednesday, said that north central came third at the recent presidential election, and so should be considered for the speakership of the 9th Assembly. He said there should be geopolitical balancing in the house saying that his constituency deserves to lead the 9th House of Representatives in the spirit of fairness and equity. Bago said, "honestly, it will be naked injustice if I, as a representative worthy of being so called, keeps quiet in the face of manifest denial of the North Central and particularly Niger state for the Speakership of the 9th assembly House of Representatives. "I cited the constitutional prescription that calls for geopolitical balancing, no answer, I cited the fact that Niger State had never produced a Speaker since 1999, No response!! "I cited that the fact that North Central came third at the Presidential elections over South West geopolitical zone, still no answer; now I tell you that the entire margin of victory of APC in the South West geopolitical zone made up of six states is 259,780 votes, while NIGER STATE ALONE and ONLY gave our party a margin of victory of 394,314 votes, leading the entire south west geopolitical zone with 134,539 votes!!! "How can I then keep quiet? What is fair must be just. Equity is the foundation for STABILITY. Those who labour must be recognised! Still waiting for answers to these stark facts!!! My aspiration is not personal."